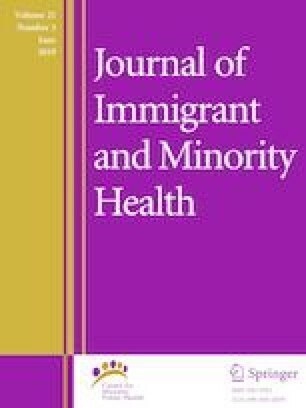 To estimate and compare the management of diabetes among Arab, Asian, non-Hispanic Black, and non-Hispanic Whites attending a large health system in metropolitan Detroit. Data were electronically abstracted for 6622 adult patients with diabetes. Dependent variables were uptake of A1c testing and results, LDL-C testing and results, and eye examination frequency. The independent variable was race/ethnicity. Logistic regression models were used to examine the association between Arab Americans and non-Hispanic Whites for each of the dependent variables while controlling for confounders. Arab Americans were 38% more likely than non-Hispanic Whites to report an A1c > 7% (OR 1.38; 95% CI 1.03, 1.87). Arab Americans were 62% less likely to receive an eye exam compared to non-Hispanic Whites (OR 1.62; 95% CI 1.21, 2.17). Population based studies about diabetes management among Arab Americans will facilitate tailored interventions aimed at preventing/delaying diabetes complications and reducing premature mortality due to diabetes. We would like to acknowledge Shirley Qu for creating the analytic sample. The study was funded by Oakland University’s Faculty Research Fellowship awarded to FJD. FJD was responsible for the conception, data analysis and write-up of manuscript. She takes responsibility for the contents of the article. EM assisted with developing the conceived study. JR assisted with extraction and analysis of the data. The surname list was developed by KS. The two graduate research assistants, JRM and SS assisted with data analysis and write-up of the manuscript. We have no conflicts of interest to disclose. Demographics | The Arab American Institute. Anonymous. http://www.aaiusa.org/pages/demographics/. Accessed 7 Sept 2014.